"What does it feel like to play the piano really well?" he asked, voice low and hypnotic. "It feels like I'm three steps ahead of myself rolling out a perfect road to walk along. Effortless. Complicated but effortless, like pronouncing a long word that you're intimately familiar with. It feels like flying. It feels like always being on the edge of falling but never falling. It feels like perfect control and perfect release." And then it was over. And you had to be in the world again. 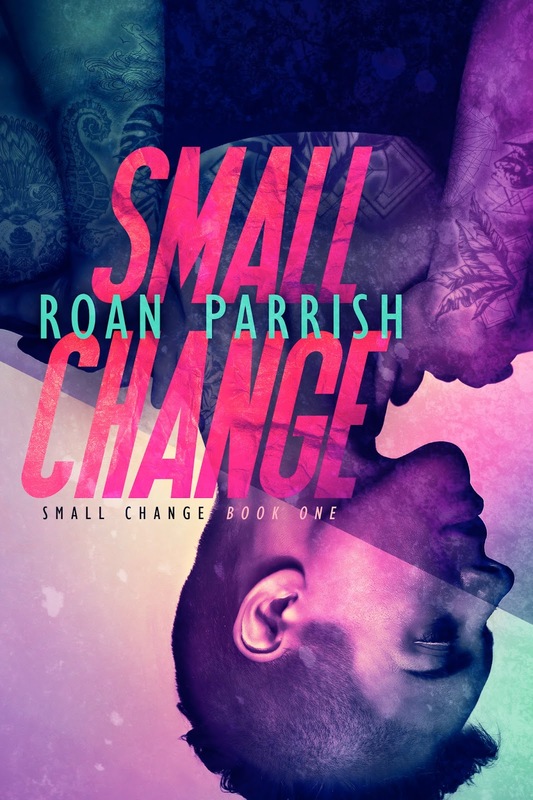 Small Change was my first foray into Roan Parrish's writing, and it was an introduction that led me to listen to the three audiobooks of her Middle of Somewhere series, which is now one of my all-time favorite audiobook series. I loved The Remaking of Corbin Wale, and her upcoming release, Riven, is one of my most anticipated of the year. Another of my most anticipated reads is the one I just finished and it happens to be the second book in Parrish's Small Change series, Invitation to the Blues. 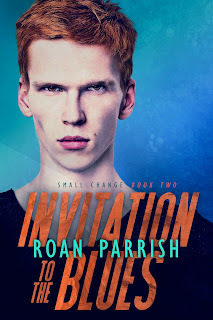 While you may read this as a standalone, I'm going to highly recommend that you read Small Change first because it does lay down the foundation to Jude Lucen's story. You also don't necessarily need to read the Middle of Somewhere series, which the Small Change series is spun off from, but I'm making a recommendation there as well because those were a fantastic trio of books. Like seriously. It's been several months since thirty-six-year-old concert pianist Jude Lucen left his life in Boston behind. Philadelphia may be home, but he still feels like he's in limbo, with no real direction or purpose. His suicide attempt has his family understandably concerned and protective, and his ex-boyfriend has been trying to get him to answer his phone calls and text messages to no avail. Even his music seems to have abandoned him. He may be offering piano lessons to earn an income, but he misses the days where his fingers would entice the music to come from the keys he would play. He's never felt enough--not in the way he looks to the way he is with the people he loves. So, what makes Jude think that someone like twenty-seven-year-old tattooist and artist Faron Locklear would even bother with a guy as broken as him? Can Faron help Jude realize that he's worthy of love and music? Purchase Invitation to the Blues on Amazon | B&N | iBooks | Kobo.